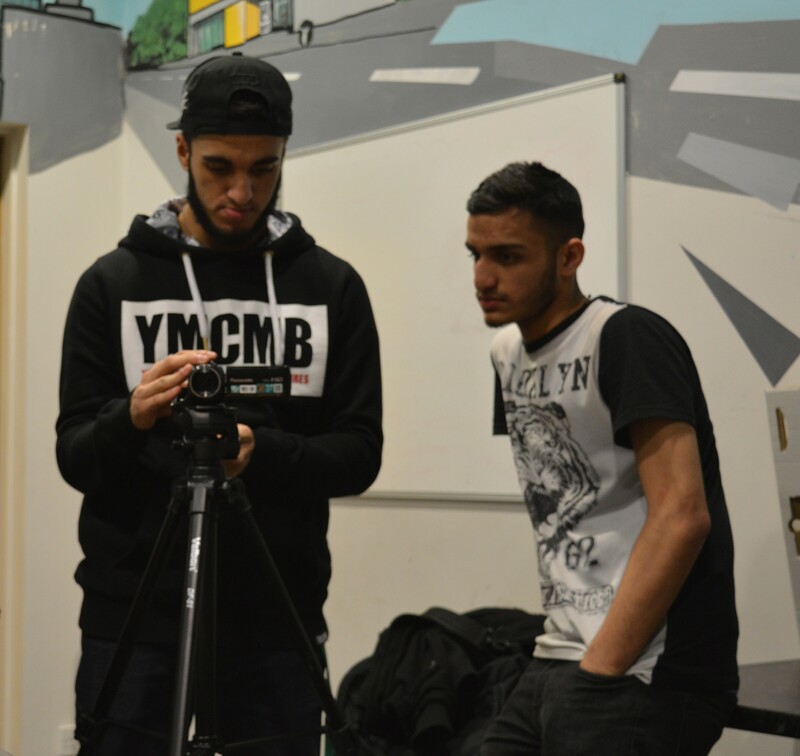 This session was a practical introduction to the skills needed to create a film, operating the camera,recording sound etc. 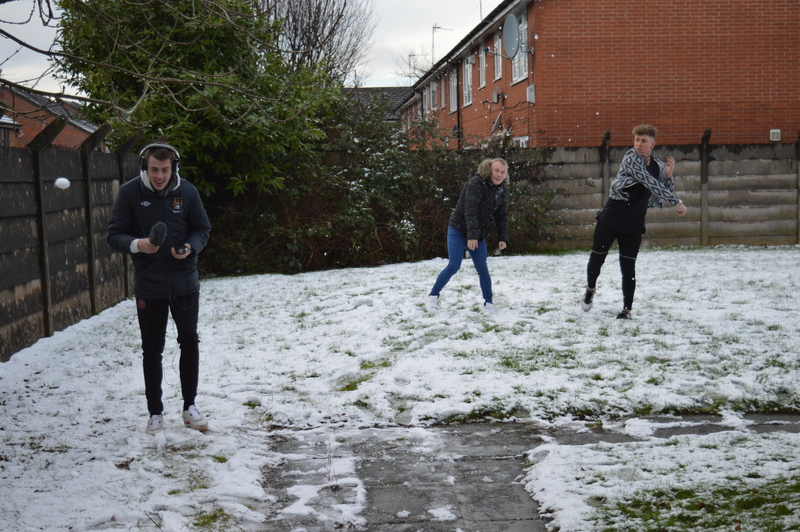 The basketballers were particularly keen to capture the sense of movement and athleticism in their sport, not easy to do on camera, but they are up for the challenge! According to the guys in The Factory Youth Zone Basketball team , ‘Coach Carter’ is one of the best films about basketball. Do you agree? Jim and Sue met with members of the team to discuss the project and start the practical sessions. We used screen shots from ‘Coach Carter’ to look at the literacy of the film-making i.e. how the Director and Director of Photography (DoP) choose to frame a particular shot in a particular way. The group identified that long shots can tell us, the viewer, where the story is set . No glamorous uniform for this team, and their body language tells a story. A close up can be a powerful tool to convey emotion! We didn’t fancy being on the end of this team talk! Work on the mini films starts in earnest. Each person having written their own piece, they then had to work in small teams to become film crews for each other’s’ pieces. 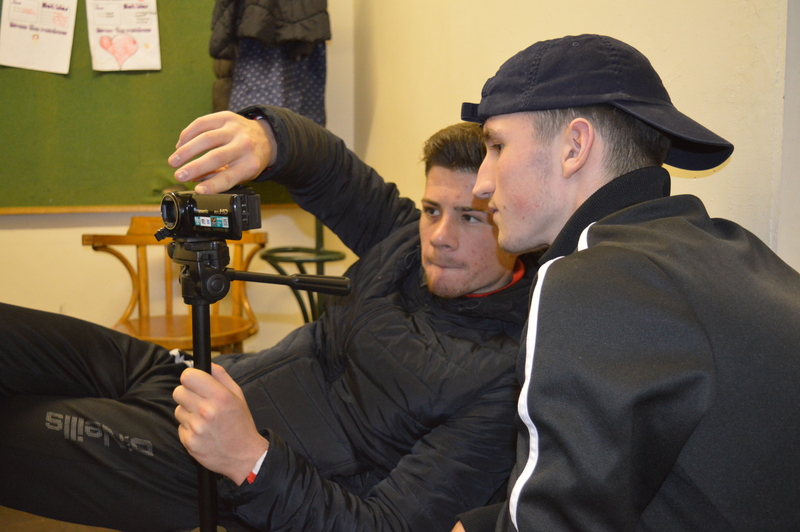 The roles in our film crew are: Camera Operator, Sound Operator and Director – as well as the ‘talent’, of course, in front of camera; some people made natural Directors. Alex Lawler joined Jim as our other artist on the project. Alex is an ex footballer and now an actor and filmmaker, he was in ‘Mike Bassett: England Manager’, lucky we had already said it was one of our favourite football films!